Release the First Report – important info! 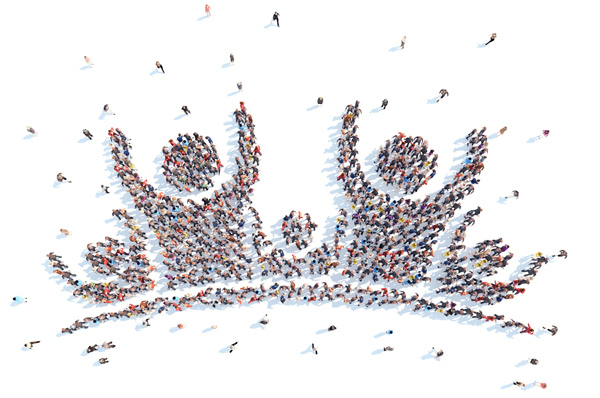 Membership Levels – what are they? Most of you are aware of the Australian report on homeopathy which came out in March 2015. However, as detailed in the film Just One Drop, there was a first report in March of 2012 which would have included some positive research on homeopathy. This report was never released to the public. Find out more, and help spread the word… and sign the petition to release the first report! Many pharmacies now carry homeopathic products, some can be found even in the big box stores. Whether it’s CVS, Walgreens, Walmart or your local pharmacy, grocery store or natural food store, these businesses need to be commended for making homeopathy more and more available to the general public. Wherever you are and whenever you can, thank them! Monday, October 15th, 2018 at 5pm (PT). This will be an online meeting – details will be forthcoming. Congratulations to our student Saman Chaudhry for completing our Expert Course in Alonissos, Greece with Professor Vithoulkas. Saman was also joined by our North American Faculty – Cristina Chise, Dan Horvath, CCH, RSHom(NA) and Cash Casia Leo, CCH as well as 150+ IACH Alumni from 30+ countries around the world for the intensive seminar. Two great seminars are still to come – Homeopathic Postgraduate Course and Difficult Cases with in Depth Analysis Seminar – see website fmi. 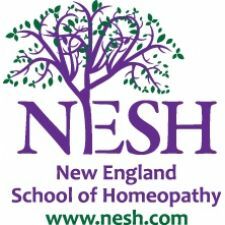 The New England School of Homeopathy is excited to announce Content Countdown to NESH 2018 with Drs. Amy Rothenberg ND and Paul Herscu ND, MPH as a lead up to their 10 Weekend Develop Expertise in Homeopathy Course offered at their home base in Western Massachusetts starting October 2018. Think of this Countdown a s a free taster “mini-course” into the vitalistic tradition of homeopathy. Get a sense of what NESH teaches & how they do it. This seven part mini-series comes to you via email every other week and will contain written, audio, or video selections to highlight the heart of homeopathy and its power and efficacy in practice. The first email in the series went out on Thursday July 12th, but they are happy to catch you up on what you missed. 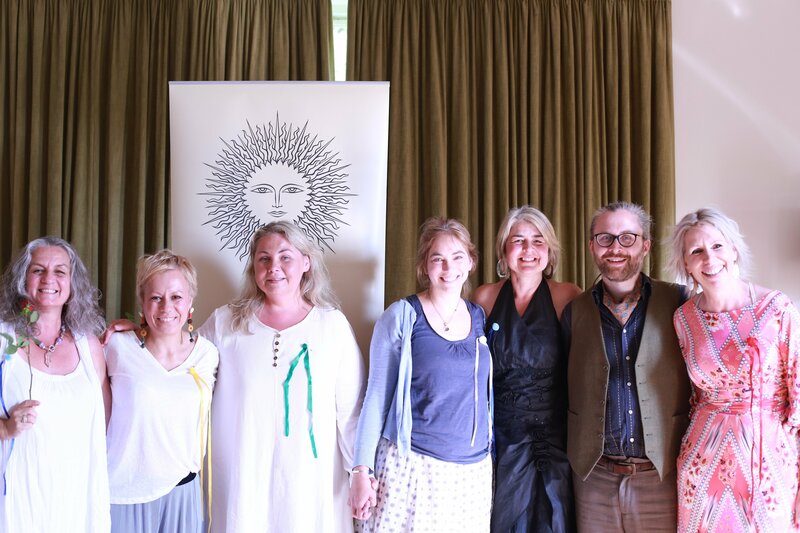 New homeopaths share their love of studying homeopathy – click here to read more! 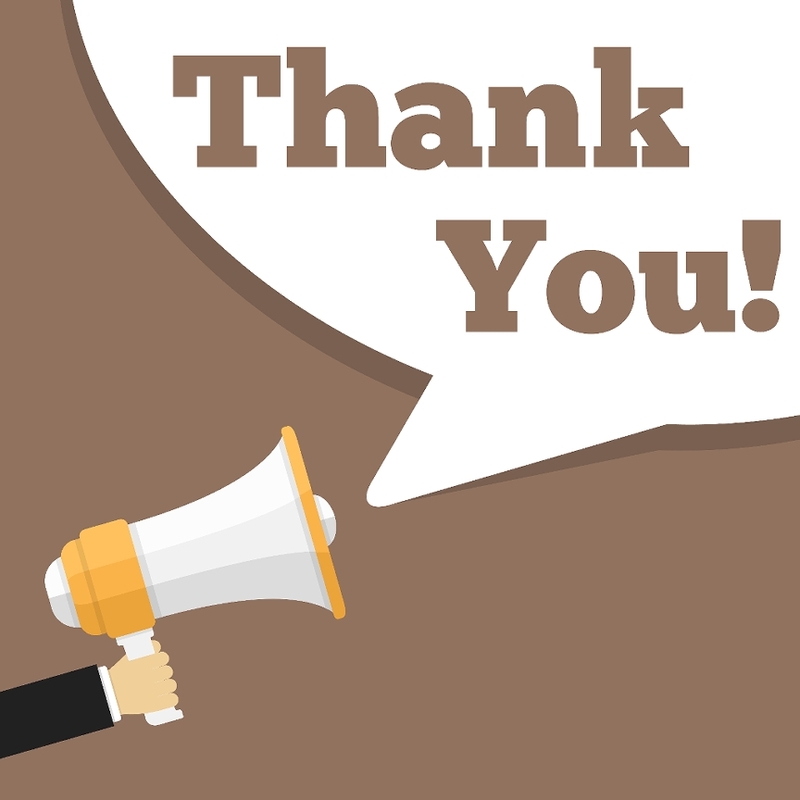 Thank you all for supporting NASH! Details will be sent out prior to each separate event. Disclaimer: The content of these webinars does not necessarily reflect the views of the Board of the North American Society of Homeopaths. The information presented in these webinars is for general informational purposes only. While we endeavor to provide accurate and up-to-date information, we make no representations or warranties of any kind, express or implied, about the completeness, accuracy, reliability, suitability or availability of the information provided. Any reliance you place on such information is therefore strictly at your own risk. The information provided should not be used as a substitute for advice from your personal health care practitioner. All Registered members are required to complete 20 CEU’s for NASH at the time of your annual renewal date. For a complete list of what can be used for CEU’s, click here. CEU’s required for NASH do not carry over to the next year nor do they need to be from only ACHENA accredited schools. 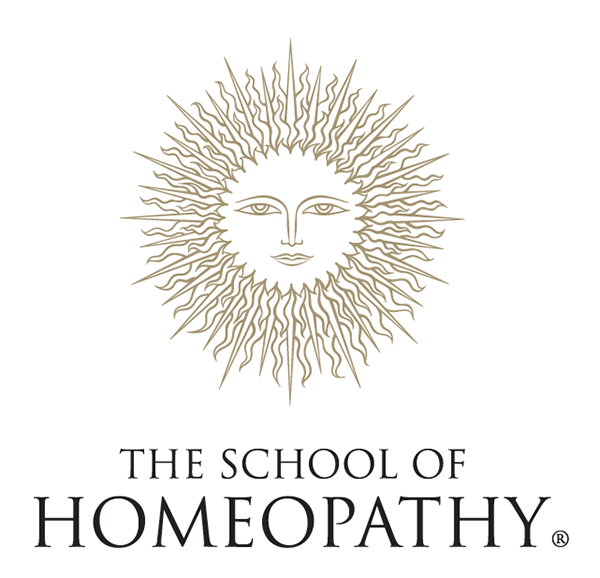 If you have questions about your continuing education, please email nashinfo@homeopathy.org. 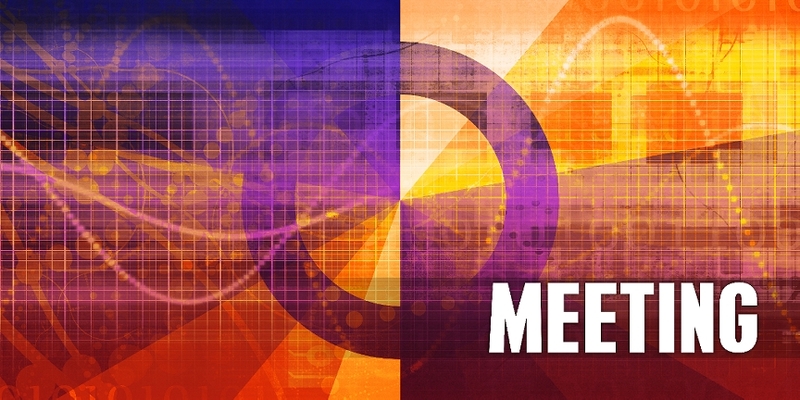 The CEU’s need to occur within the most current year of your membership. NOTE: NASH webinars are not acceptable for use for CEU’s as many have to do with business issues rather than clinical advancement. *Recent CCH’s may need to submit cases to NASH. In loving memory of Liz Bonfig, the “heart” of NASH, the NASH Foundation has created the Elizabeth Bonfig Scholarship Fund. 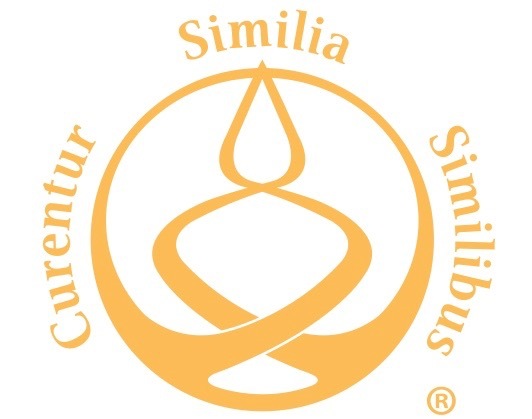 This annual scholarship will be awarded to homeopathic students who demonstrate passion, service and commitment to the profession of homeopathy.To donate to the Elizabeth Bonfig Scholarship Fund, please use the button below or send a check to NASH FOUNDATION, PO Box 115, Troy, ME 04987. Support The NASH Foundation, Inc. by shopping at smile.amazon.com. Every time that you make a purchase, Amazon donates a % to NASH. Give it a try! The North American Society of Homeopaths has teamed up with Huntington insurance to offer our US Registered Members a Professional Liability Insurance Plan designed specifically for homeopaths. The coverage can be purchased online once logged into the NASH website. Registered members can use the easy quoting process, easy credit card payment, and issuance of the policy. This policy is exclusively available to all Registered NASH members who are in good standing. Policy premiums start at $125 per year. Computer Information Security and Privacy coverage can now add to your Professional Liability Insurance Policy. As a Registered Member you get 20% off of every order that you make with Washington Homeopathic Products (WHP). WHP is one of the last of the original homeopathic companies. They make and maintain all the single remedies from a stock of hundreds, and ship to individuals, veterinarians, physicians, etc. WHP also sells through over 20 distributors and does private labeling for over 35 companies. WHP is the oldest full line homeopathic company in the United States. They strive to make just about everything and will get what you need if they don’t make it. In order to be your one stop shop, WHP has added several specialty lines from other homeopathic companies including Bach, Homeopet, Nature’s Way and Miers Labs. Here is your chance to organize your whole practice! clients’ overall responses and the effects of individual remedies. LegalShield will now be available to all our of members to provide members with legal advice. There will appear a link from our member home page that will lead you to LegalShield’s sign up. An On-line Scheduling Program is offering a 10% discount to NASH Registered Members. Full Slate’s scheduling software has everything you need to manage a busy schedule. • Let your clients make their own appointments on your website and Facebook page. • Clients can quickly see when you have availability without having to pick up the phone. • Collect all the information you need with a custom booking form. Use predefined fields or create your own. • Get alerted to new appointments immediately so you always know when a spot’s been filled online. • Review each appointment request and confirm on a case-by-case basis or accept them all automatically. Registered NASH members can use the link from your home page to see details on getting started with this program. 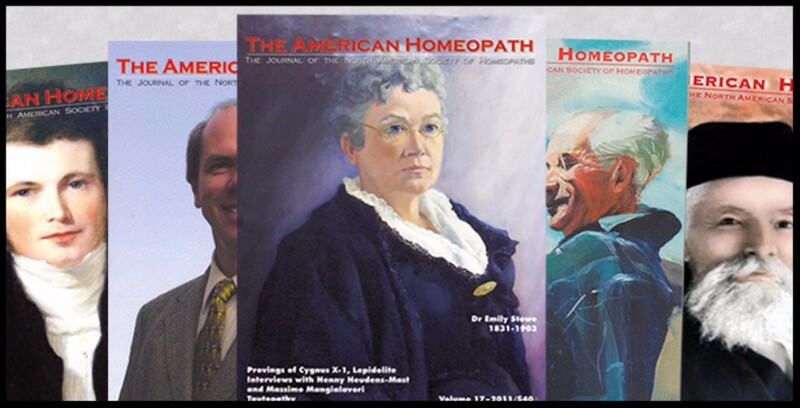 NASH is proud to continue the longstanding tradition of publishing The American Homeopath, the journal of the North American Society of Homeopaths. Created in 1994, this annual journal is a scholarly collection of articles, interviews, case studies, materia medica studies and more. Past issues are available for purchase online. 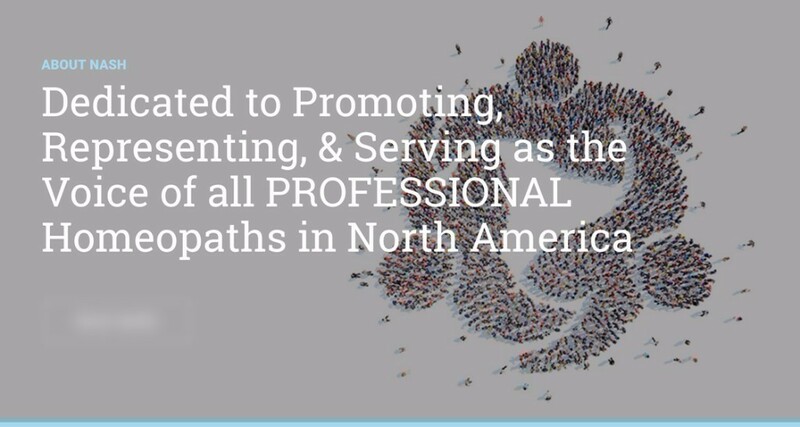 PreviousPrevious post:June 2018 NASH NewsNextNext post:Paola Brown, President of Americans for Homeopathy Choice, shares her vision.